Leaders in the executive branch of state government are not yet conceding defeat for a handful of priority items the governor asked legislators to pass this year. “We believe that in order to provide certainty to school districts across the state and not continue the uncertainty that they’re experiencing right now that it makes sense and that we need to have state supplemental aid for both,” Reynolds says. 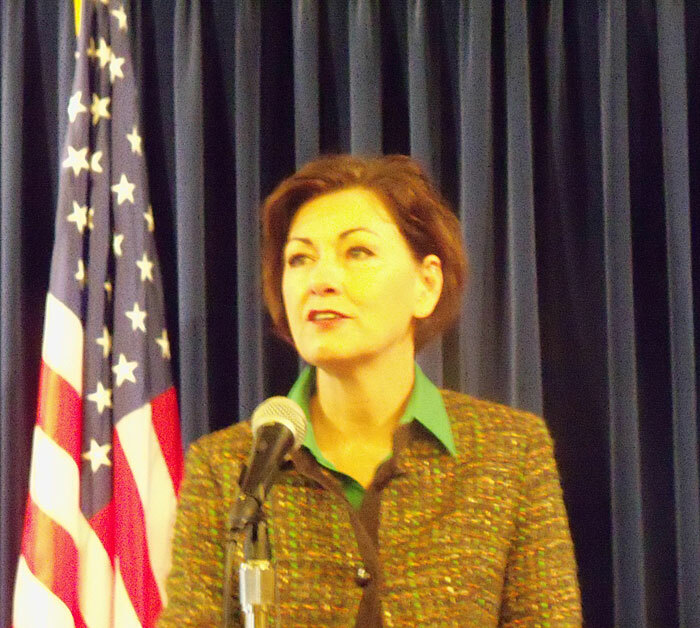 But Reynolds won’t say what Branstad might do if legislators fail to meet the governor’s demand. For the third straigtht year Branstad has asked legislators to pass an anti-bullying bill, but that has stalled, too. “The session is still going and as long as the sessio is still going we feel optimistic because it continued to be a priority of this administration,” Reynolds says. In addition, House Speaker Kraig Paulsen says the state budget “framework” that emerged Friday night does not include an inflationary increase in state taxpayer support of the three public universities. That endangers the Board of Regents promise to freeze tuition for in-state students for a third consecutive year. House Republicans say board members can rearrange budget priorities within the universities if they want to keep tuition stable. The lieutenant governor says keeping student debt low is a priority. “We put that in our budget to put the funding in place to provide the third year of no increase for Iowa students attending our Iowa Regent universities, so we think that that’s important,” Reynolds says. 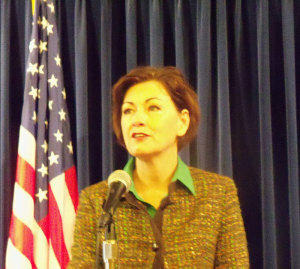 Reynolds spoke with reporters this morning during the Branstad Administration’s weekly statehouse news conference. Branstad is out of state, attending an economic conference in Ohio. Legislators have started trickling into the statehouse this morning, although neither the House or Senate is scheduled to debate today. Legislative leaders have promised to reveal more budget details to the public soon, with the goal of concluding the 2015 legislative session this week.